S tarting out the fleet consisted of a single 1979 van (with no lift equipment) that transported seniors for a few hours a day in Spearfish. The program has since become a fully coordinated public transportation system covering an area more than 7 times the size of Rhode Island. Now seniors in several communities with nutrition programs can join their friends to enjoy a nutritious meal by riding Prairie Hills Transit. And the public transit system serves people of all ages, offering trips for employment, daycare, social, and medical trips, shopping, special events and whatever community members need. And it continues to grow. Now sporting a fleet of 45 vehicles (mostly lift-equipped), the service is indispensable in more than a dozen communities in nine counties in the Black Hills. During the term of former Gov. Bill Janklow, a Governor’s Initiative was launched in 1995 with two pilot programs in South Dakota – one in Spearfish and another in Huron – that drew state agencies together, putting public transit as the lead agency. Instead of individual agencies each providing the full extent of transportation they needed, the various agencies combined efforts and began calling on transit to provide as much service as possible. Prairie Hills Transit expanded into the Southern Hills, and currently, the nonprofit service extends from Lemmon/Bison/Faith in the north, to Edgemont in the south, reaching all the way east to Martin, providing transportation to rural communities and helping residents remain in their homes by having access to much-needed medical services in larger communities. From a single parking space at the nutrition site, Prairie Hills Transit later moved to Colorado Boulevard in Spearfish (the former Ainsworth-Benning Construction shop), which was 10,000 square feet. The company added bus facilities in Belle Fourche, Sturgis, and Custer as service expanded to meet the needs of neighboring communities, and another site is in the works to house the vehicles in Hot Springs. 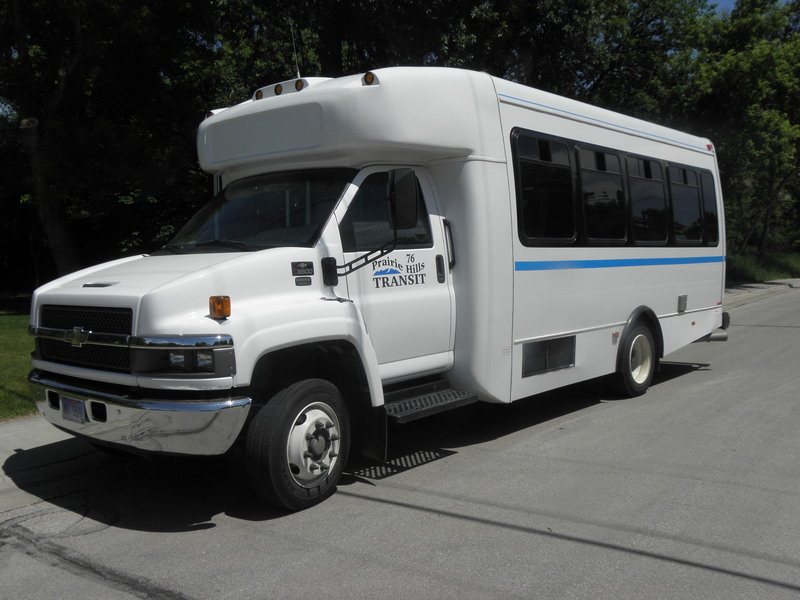 In May, 2011, thanks in large part to money from the American Recovery and Reinvestment Act, Prairie Hills Transit moved into a new 40,000 square feet facility – a regional intermodal transit facility. The new facility will house PHT’s office and garage space, as well as being the ticketing agency for Jefferson Bus Lines. It also is the home to a state-certified daycare facility for up to 41 children ages 6 weeks to 10 years old.